We are officially in Halloween mode here at Crafty In Crosby and just finished our first Halloween decoration for 2014! Woohoo! 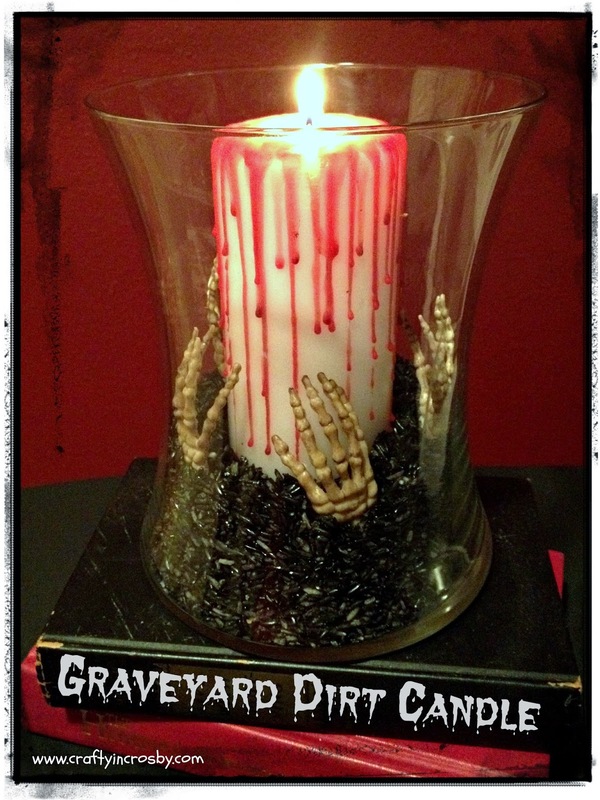 Our Creepy Graveyard Dirt Candle (Leigh came up with the name - I wanted Graveyard Dust, but we all know who's boss over here! LOL!!) started with a bag of little skeleton hands that cost $1.99 at Michaels. Leigh came up with the idea and suggested we use dirt for the filler. I was afraid that we might end up with all kinds of creepy crawlies in the house and thought that painted rice might work. It is hard to see in the picture but it looks so gross....almost like nasty little maggots. I'm really grossed out typing this because they are just the most disgusting little things! Yuck!!!! 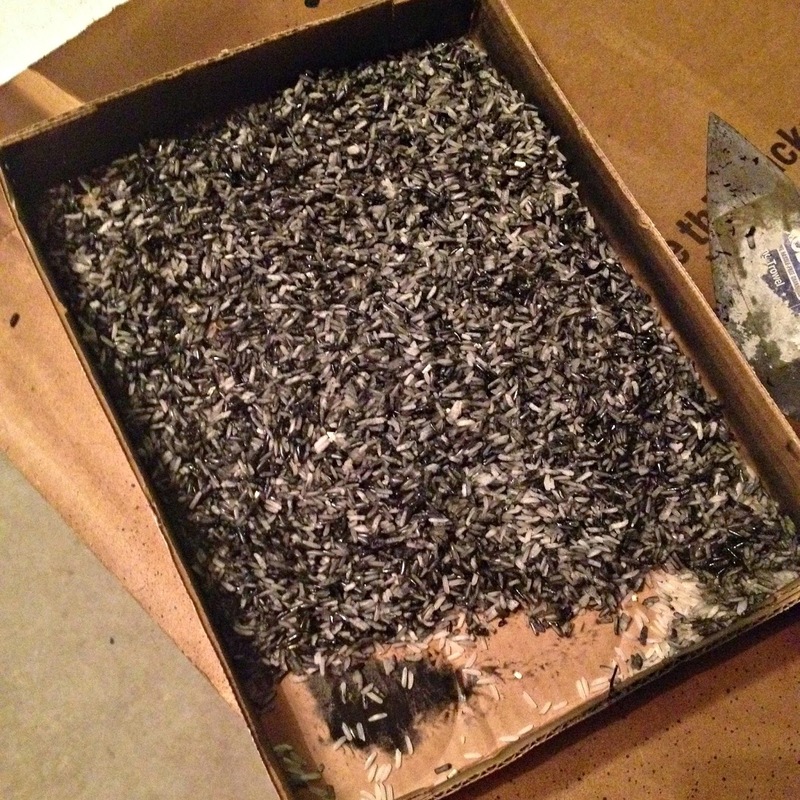 I used matt black spray paint on the rice and it really turned out great. 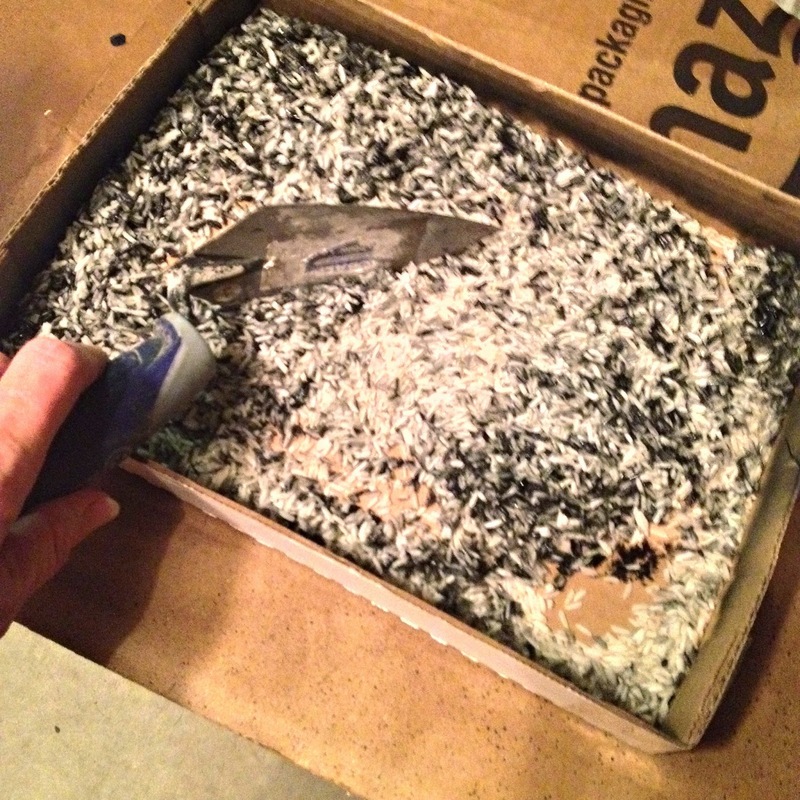 Took about 3 coats of paint to turn the rice dark enough. Stir the rice thoroughly between coats. I was impatient and didn't really let it dry, just stirred it and sprayed it again. 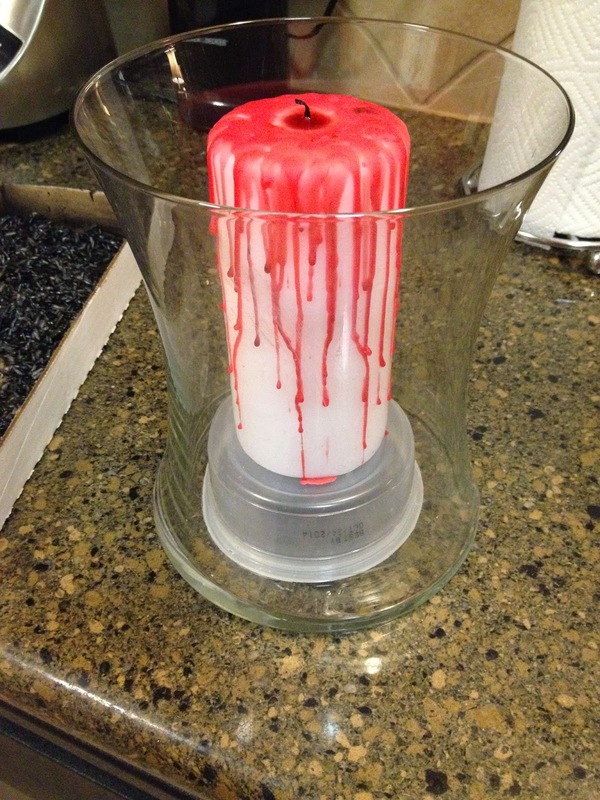 The candle was just an inexpensive white pillar candle from Wally World with red candle wax dripped down the sides to create the blood. It wasn't quite tall enough for my liking so I placed it on an upside down plastic container inside the glass. 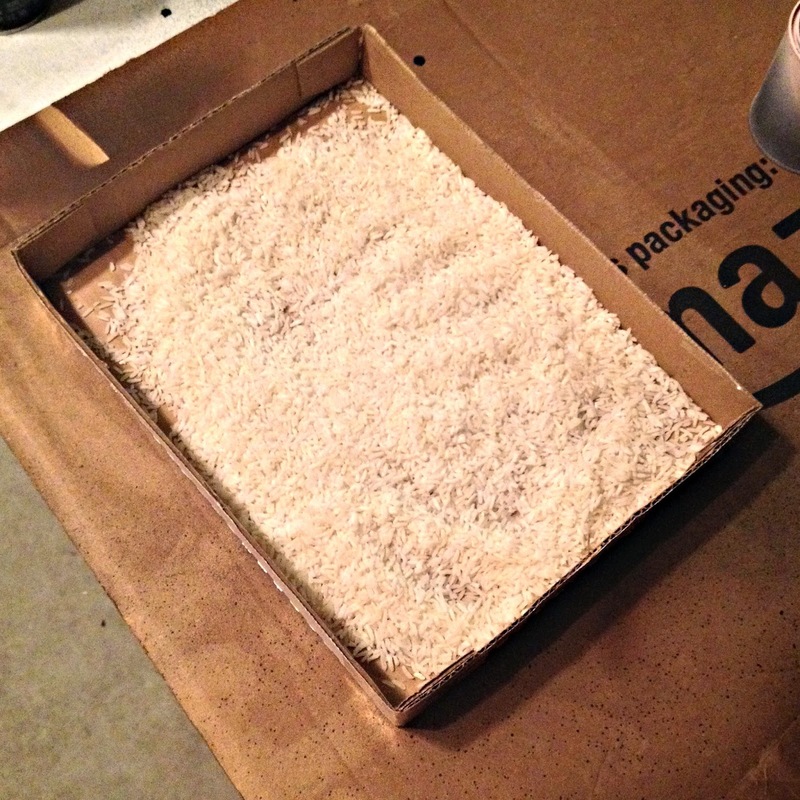 This raised it up and gave it the height I wanted, plus it took up room so not as much of the rice was needed. Then we spooned the rice in and placed the creepy little skeleton hands down around the candle. 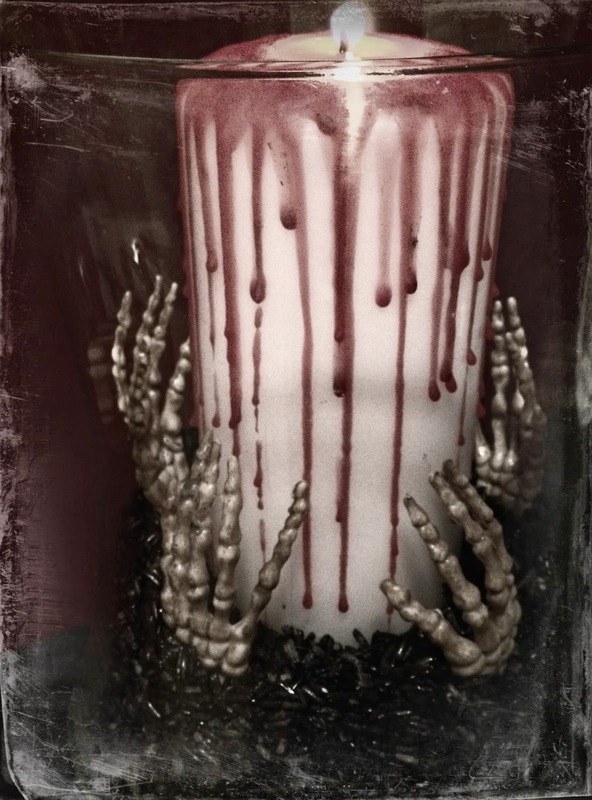 I love how creepy it turned out and it is going to be perfect on the dessert table at this year's party! Last year we went with black and silver on the table and I think it could do with a bit of blood to liven it up! 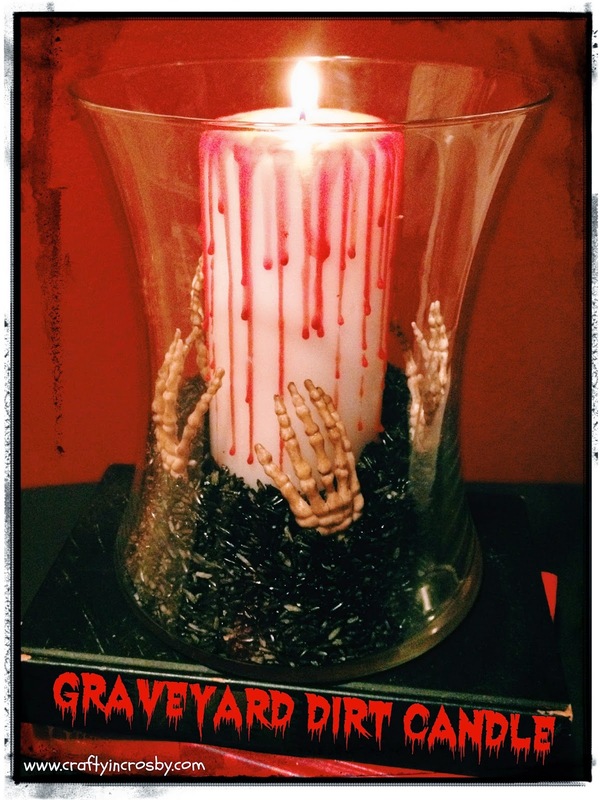 Are you planning lots of creepy crafts for your Halloween decor this year? We would love to see them - leave us comment and we'll be sure to visit. Yeah...blood livens everything up..LOL. It did turn out creepy...perfect for Halloween. Those hands just freak me out!! Thanks for stopping by Bobbi - to the blog, that is! Next time you are in Crosby, you should check out the new Antique and craft stores underneath the bridge. They've fixed it up so cute with historical markers and lots of charm! We went this weekend and had a blast! Hope you are enjoying your Labor Day Holiday! That is so fun/neat/creepy/scary! Lol! The painted rice was a great idea. Pinned :-). Thanks so much Heidi! We love how it turned out. 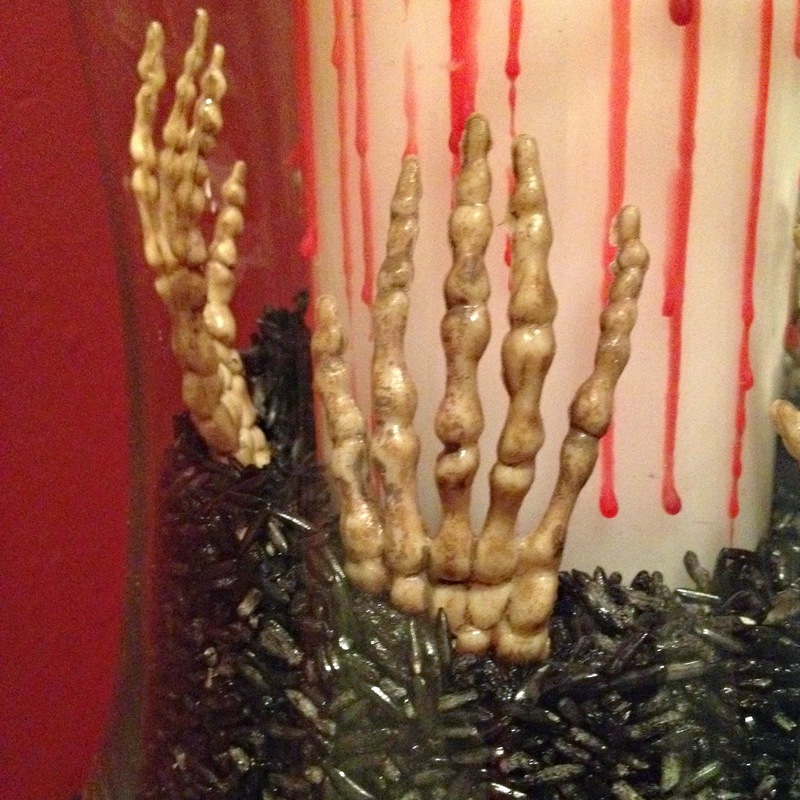 I love this idea and using the rice painted black makes it look even more creepy.